You ever notice how every time anybody in the history of the world has ever yelled out “Sweeeet Car-o-line!” someone has always chimed in with the “DUH-DUH-DUH” to follow? Of course you have. I pretty much always yell out “Sweeeet Car-o-line!” just to see how many people I’m with the sing the follow up. The only thing more inevitable, however, than making trumpet noises to my favorite Neil Diamond song (which is interesting, considering that my favorite “Diamond in the Rough” song is “Cherry, Cherry”) is the close-up shot of the sad walk-on on the losing team’s bench in the NCAA tournament. In case you are like me and you like going to bed before 1 in the a.m., our game against Siena was quite the thriller. From what I heard, even those of you who did chug a few Red Bulls just so you could stay up to see me do a celebratory cartwheel were interrupted by the Wisconsin Buzzcuts and their upset of Florida State. Yet another example of the NCAA conspiring to keep me down. Anyway, we lost to Siena after Ronald Moore essentially pulled a Ron Lewis, only Gus Johnson didn’t have the call, which will forever make his shot about half as cool as Ron’s. Heading into the tournament, I laid out two goals that I wanted to see through. The first obviously being that I wanted a group of coeds to make signs and scream for Club Trillion at our public shoot-around. The other goal was to make it on “One Shining Moment” at the end of the year. Surprisingly, the first goal was met when a group of three girls from the University of Dayton made signs and t-shirts for Club Trillion and presumably yelled obscenities at The Villain the entire time. Good work, ladies. My other goal, however, appears to be in serious jeopardy. To make sure that I left nothing to chance, I prepared myself to be on “One Shining Moment” by watching every single “One Shining Moment” ever. EVER. I studied what should be done in case of a close victory (bear hug the player that made the game-winning play) and what should be done in case of a close loss (what I actually did). After Ronald Moore hit the game winner, I went into my “How could this happen?” pose and was certain that every CBS camera in the house was zoned in on my reaction. I had glazed over eyes that looked like they could burst into tears at any time. I had a towel covering my mouth in hopes that the viewer would assume I was trying to hide my quivering lip. I had everything CBS wanted, yet I kept my dignity by not crying, mostly because I didn’t want to have to make an NBA Live commercial to defend myself (Coincidentally, I’m growing out a mustache right now that some could say is inspired by Morrison). Had CBS caught my reaction, I probably would have made it on “One Shining Moment” when the song got to the line “…and when it’s done, win or lose, you always did your best…” like Marcus Camby did in 1996. Instead, the only footage CBS caught of me was when I decided to watch the game from a bird’s eye view and jumped at least three inches out of my seat. I guess someone could have filmed my pre-bawling face and CBS could still include me, but at the moment it looks like I’m on the outside looking in. I guess there’s always next year (spoken like a true Cubs fan). The worst part about this year’s tournament, though, is the fact that we didn’t play in my desired location of Miami or The Villain’s desired location of “Looney Tune Land cause I want to be able to stretch my arm and dunk like Jordan did there.” I still can’t tell if he was serious when he said that. Anyway, we were forced to play in Dayton, which is so close to Columbus that I probably could have made a shot in UD Arena from my apartment. To make matters worse, our hotel was isolated from any entertainment whatsoever, meaning the only thing we did that was remotely “fun” was go to Buffalo Wild Wings (I still only count two W’s). Because, as a collective whole, the Ohio State Buckeyes are upstanding citizens, on this particular night it was decided that we would wear dress clothes to B-dubs. Instead of just abiding by the rules and going about my business, I intentionally went overboard with my attire and wore slacks and a tie, making me a real life Jim Halpert. We ended up going in the back door (easy with the jokes, this is a family friendly blog) and sat in a private room, so literally nobody but about two or three waitresses saw the first class attire I was wearing. Of these two or three waitresses, only one waited on the table consisting of B.J. Mullens, Kyle Madsen, Danny Peters, and yours truly. And of the one who waited on my table, one was dared by B.J. to eat a Blazin’ wing, which apparently is the hottest kind of wing B-dubs serves. Our waitress claimed that she already ate a Blazin’ wing for initiation (apparently B-dubs is a sorority) when she started working there a few months ago and was literally crying and sweating for the rest of the day (her words, not mine). It was neither confirmed or denied if her reaction was in any way similar to the atomic pepper scene from “Dumb and Dumber.” At any rate, after hearing this, B.J. naturally knew he should make it his mission to get her to eat a Blazin’ wing. B.J. proposed that if he first ate a Blazin’ wing, she would have to do the same. She agreed and went to the back to get two Blazin’ wings, this after she had already brought out our original orders. When she returned, she had two wings and a small carton of milk, which apparently made it much easier for the wing to go down. B.J. made the waitress feel bad for not bringing him a carton of milk and thus she went back to the kitchen and grabbed another. It was at this point B.J. swapped his Blazin’ wing for one of his Honey BBQ wings from his original order. When she returned, B.J. downed his wing and just sat there like he was the coolest dude on the planet and nothing could possibly faze him. She then ate a fraction of a bite of her wing , chugged the carton of milk, and started crying and sweating. Apparently she was telling the truth about her reaction the first time she ate a hot wing. After waving her hands at her face like her mouth was burning or something, our waitress disappeared to the kitchen and didn’t come back out for a solid ten minutes. B.J. never told her that he switched them, but he did ask for a doggy bag and put all his uneaten wings, including the Blazin’ one that he neglected, into the bag. I can’t say with absolute certainty that he did, but in my mind B.J. inadvertently ate the wing some two hours later while watching re-runs of “Catdog” and wondering exactly how they relieve themselves. Yeah, that sounds about right. After the last entry about how I like to mess with my teammates while they are doing interviews, the spotlight was on me (unfortunately, only figuratively) to step up to the plate at the NCAA tournament media session. I think I did just that. Jon Diebler was standing up while doing an on-camera interview with a local TV station in the middle of the locker room. Because the camera was focused on his face and couldn’t see the rest of his body, I sneaked up from behind him and pulled his pants to his ankles before I scurried back to my seat (relax, he had underwear on). He tried his best to finish the interview with his pants at his ankles, since bending over to pull them up would result in ruining the entire interview. Instead, he laughed his way through the rest of it and pulled his pants up after about twenty seconds. Also, after telling the story of putting the marker in The Villain’s face, I was e-mailed by Adam Jardy of Buckeye Sports Bulletin with a picture of my marker maneuver. He caught me in the early stages of putting the marker in The Villain’s face, but as the scene progressed, I forced the marker closer and closer. Nonetheless, here’s the picture. Good work, Adam. While I’m on the topic of putting The Villain in his place, I thought I would point something out that virtually none of you are aware of. The Villain had a blog going during our brief run in the NCAA tournament. Obviously, because he is my sworn enemy, none of you read it. I had to read it, though, to scout out the competition. In my professionally amateur opinion, his blog is nothing more than two scoops of blandness with some boring fudge on top. He makes no references to 90’s movies, doesn’t talk about any pranks he’s pulled, and for whatever reason fails to link to any YouTube videos. Overall, his performance in the blogosphere is equivalent to my performance on the basketball court. When I was in kindergarten. With the conclusion of our season, there have been questions circulating around (my parents’ house) about what exactly the future of this blog will be. Because I said from the onset that this blog would be about the stuff that goes on outside of basketball, I really don’t see why the offseason should mean I can’t keep up with the blog. I probably won’t write as often since there won’t be as much going on in my life, but I still find ways to have a good time in the offseason and I would hate to not let the Trillion Man March in on all the secrets. I’ll be here churning out posts all summer, more than likely discussing how it hurts so good to be a Cubs fan. Really, I could just straight up plagiarize all of Bill Simmons’ stuff pre-2004 and substitute the Cubs for the Red Sox to convey how I feel about the Lovable Losers. At any rate, I’ll be posting all offseason and even plan on starting a podcast with Keller after school gets out in June. Siena was slightly excited after beating us and failed to shake hands, much like Purdue did the game before. Apparently beating Ohio State warrants a rushing onto the court, which really isn’t all that surprising to me. Also, I only played in two games this year so my bone-crushing screen count was brought to a screeching halt in December. 23 one armed embraces and 1 bone-crushing screen made for a decent season. Your awesome YouTube was sent in to me by CJ B. There's your shout-out, CJ. And here's your video. I first want to say that I hope everyone had a happy National Working Woman’s Holiday. I took an extended period of time to celebrate with EA-T, which explains why I haven’t posted in awhile. Nonetheless, I trust that all you fellas let your ladies know that you appreciate the work they are putting in. I really do apologize for not posting in quite some time, but with the Big Ten tournament and finals this week, I had to succumb to that increasingly popular trend called studying, which was something I had heard a lot about but had never really tried. That’s because I’ve always liked to see myself as the “Icebox” of academics. If the Icebox had put a little more effort into her looks (I’m fully aware that she did put forth effort when she became a cheerleader, but just go with me on this one), guys would have been at her feet with bouquets of dandelions, begging to hold her hand. If I put a little more effort into school, I could be that guy that goes around asking people what their GPA is and when they say that it’s lower than mine I simply reply, “Oh, that’s not too bad.” Instead the Icebox and myself both enjoy being the kid who gives off the vibe that says “I really don’t care about what you think should be important to me because I wear my hat backwards and eat powdered donuts straight out of the box.” (Just kidding, mom! I got straight A’s this quarter!) But enough about my shortcomings as a student. Since you’ve last heard from me, we played our last regular season game, played three games in the Big Ten tournament, and I have received a bid to wear a towel around my neck in the NCAA tournament. More importantly, Kyle and I have agreed on how to solve the whitest on the team fiasco. Also, it was revealed that spiders are magic, which has nothing to do with me or this blog, but is fascinating nonetheless. 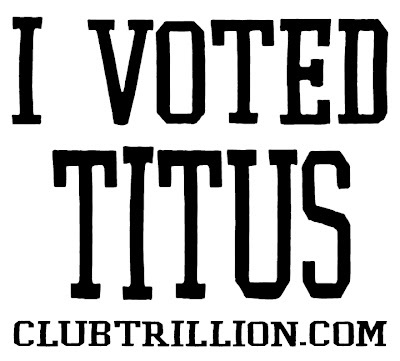 At Club Trillion, I always feel the need to give credit where credit is due. And with the conclusion of the regular season, I realized that I had failed to give a shout-out to a certain group of people that were long overdue for AMPAP. I’m talking, of course, about the athletics band at OSU, which despite the fact that I’ve heard they are not TBDBITL, they are certainly TSecondBDBITL as far as I’m concerned. It should be noted that the band that plays for the basketball games was ahead of the Club Trillion curve by about two years. During our National runner-up season in 2006-2007, the band was right there every step of the way holding up their “Titus Time” sign as each and every beat down our starters would dish out came down to the final minutes. But what truly made them worthy of a shout-out, was when one of the members contacted me and said that the band was convincing their conductor/director/not too sure what to call that old guy who waves the stick to let them play a certain song. Not only did they succeed in their convincing, but the band has continued to play it every single game from that moment on. And for the record, you can bet your balls that I sing along every time, despite the fact that I’m supposed to be warming up. Again, AMPAP goes out to the basketball band and more specifically the group that continuously (or is it continually? I’ve never understood the difference) shows Club Trillion love (you know who you are). As far as the basketball is concerned, we managed to find our way to the championship game of the Big Ten tournament, most likely because I told the team that the longer we stay in the tournament, the more per diem we will get. We eventually lost to Purdue in the championship, probably because I chose to dunk in warm-ups rather than do the standard board slap. I apologize to all the tOSU fans out there, but the game was in my hometown of sorts and I therefore felt the need to take my warm-up game to the next level. Anyway, the nasty taste left in our mouths from losing the Big Ten Championship was erased when we found out that we would be playing Siena, which happens to be my favorite shade of Crayola brown, in the first round of the NCAA tournament. Before I go on, I know that all of you are curious as to what my bracket looks like. And despite the fact that filling out brackets is frowned upon by the NCAA, I want to officially go on record as saying that I have Big State over Western University in the championship game. I personally think Jesus Shuttlesworth is just a little too much for Neon Bodeaux and company, but that’s just this man’s opinion. Now that we got that out of the way, I want to address what is easily the coolest thing about postseason basketball. After every postseason game (including the three Big Ten tournament games), our locker room is opened up to the media for a half hour or so. This means that I have to actually wrap a towel around my waist as I walk to the shower, which probably makes my teammates a little bit happier than it makes me. Anyway, the best part of the whole media circus comes when I get out of the shower and get dressed. It may come as a surprise to some people, but after games I’m really not sought after all that much to do interviews. You would think that with a Big Ten title and a Final Four appearance to my name (not to mention the above-the-rim/how-he-do-dat? rebound I nabbed in the first round of the tourney two years ago) that the media would be lining up to watch as the knowledge just flows out of my mouth. Somehow, that’s not the case. But I’m totally cool with it, because it offers me the opportunity to annoy my teammates, which is really the only motivation I have in life. As the interviews are going on, I can be found standing behind the interviewer doing whatever it takes to make the interviewee bust up laughing. Usually this consists of thrusting my hips the way Ace Ventura did after he made the police department look foolish. Another popular move is the Happy Gilmore dance, which involves a prop and can therefore be challenging if suitable equipment isn’t around. Whatever the case, it’s pretty awesome to see people like B.J. Mullens try to be serious while answering questions, only to cut off his interview halfway through because he can’t remember his train of thought. After we beat Michigan State in the Big Ten tournament, I came up with a new way to torment my teammates that I found to be pretty effective and will probably use again for the big dance. Superstars such as The Villain are usually hounded by the media and end up getting ten to twenty microphones shoved in their face as an unruly mass forms around them. To blend in with the crowd, I took a dry erase marker and treated it like my microphone. I leaned on a reporter’s back like I myself was a reporter and was trying to get that awesome quote from The Villain that more than likely featured his take on how to fix the economy. I managed to get the marker right by The Villain’s face, at which point he caught me and pushed me away while pausing his speech and cracking a smile. Somewhere, there is footage of The Villain being absolutely serious while I shove a marker in his face. I can only pray that I will see it someday. During the Final Four two years ago, we had an entire two hours one day devoted to answering questions from the media. This was when I perfected the art of messing up the interview. A particular favorite from that media day is when I convinced Ivan Harris that he had a booger hanging out of his nose and he said “Yeah we’re just going to go out and play our…hold on, I gotta go take care of something” to the reporter before dashing off to the bathroom. Another favorite thing to do was to stand by Greg Oden and ask him to say my name as he’s answering each question. I’m not entirely sure how he’s supposed to drop my name while answering questions like, “How do you think you match up against Al Horford and Joakim Phoenix?”, but that’s why he gets paid the big bucks and I’m stuck here blogging for free. A big thanks goes out to the Trillion Man March for the suggestions on how to break the whitest guy on the team tie. After consulting with Kyle, we have both decided that a heptathlon would be the most fun and best way to break the tie. We are unsure of what the events will be, but Kyle will choose three, I will choose three, and we will both agree on the seventh event (if necessary). Hopefully we can find a way to get these competitions on film, provided I don’t screw up the video camera like I did on the elevator in Minneapolis. As we figure out how we are going to do this, I will relay it to the Trillion Man March. I know that most of you are focused on filling out your brackets and are being asked to join no less than 146 bracket pools, but I wanted to once again remind everyone of the Streak for the Cash group that I created. 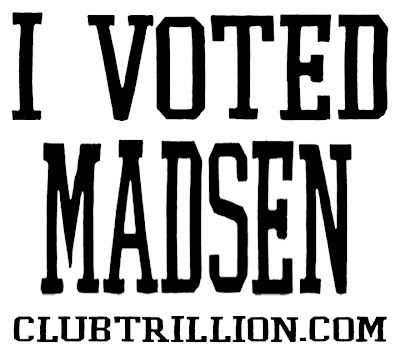 Because of obvious reasons, I can’t participate in filling out brackets/making a Club Trillion group, so I’m stuck with asking you to join the Streak group, which can be done by clicking here. I have a sincere ambition to make my group the biggest on Streak, so tell absolutely everybody you know to join. Also, as promised, toward the end of the post I have listed your group leaders for Streak, as well as the person with the worst streak going because, well, that guy has it pretty rough and could use a little pick-me-up. In my entry explaining my love-hate relationship with Streak for the Cash, I promised a shout-out to anyone who counted the number of times I took the towel off of my neck. It came as no surprise that an entire group of people in Block O (our student section) counted out loud with each removal of the towel. But since none of them actually e-mailed me, no shout-outs can be rewarded. Sorry, but the rules are the rules. It did come as a big surprise, however, that Cody Yeagley, who claims to have been sitting in the upper deck of the arena, got the count exactly right (for the record, it was 11). Congrats Cody on not only going above and beyond the call of duty, but for being one of the few people to get a full name shout-out on the blog. Good work. The last game of the regular season against Northwestern garnered two one-armed embraces, which was more of a pleasant surprise than when I recently discovered that Giant Eagle has Waffle Crisp. Somehow I kept that momentum going and got six embraces each from the Wisconsin Buzzcuts and Michigan State Spartans. Purdue was too busy chest-bumping each other to go through the handshake line after the championship game, meaning Bobby Riddell lost out on his chance to solidify his first ballot status in the One-Armed Embrace Hall of Fame. Too bad for him. Finally, I dotted P.J. Hill at least three times since you last heard from me, meaning the only victim left on my “People To Dot” list is Zisis Sarikopoulos, whose name I more than likely just misspelled. Your awesome YouTube was sent in to me by Drew S. There's your shout-out, Drew. And here's your video. As I’m sure you have noticed by now, the election to determine the whitest guy on the team ended in a tie, which has caused quite the discussion amongst the Trillion Man March. Nearly everyone has come to the conclusion that I rigged the election because I was losing, I’m a sore loser, and I like drop kicking newborn babies in my spare time. 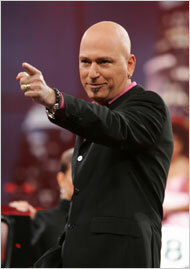 Basically, the Trillion Man March is doing more finger pointing than Howie Mandel and I’m thinking it needs to stop. Well, not necessarily stop, but at least be diverted in a different direction. I’m talking, of course, about pointing the finger at none other than Evan “The Villain” Turner. There’s no denying that there is some sort of conspiracy going on with this election. It was scheduled to end at 5:00 pm EST, as I clearly stated in this post, yet somehow it actually ended at around 8:15 EST. We were involved with practice on Friday from 3 pm to 6 pm, though, meaning it would have been impossible for me to tell whether I was winning or losing at that time. Why would I extend the hours on the poll before practice when there was still a chance I could have been the winner? It doesn’t make sense. Beyond that, after the polls had officially closed, votes still kept coming in. The poll initially closed with Kyle winning, but I regained the lead about ten minutes later. Ten more minutes after that, Kyle again overtook the lead by a single vote. Some two hours after Kyle had “won”, another vote was added to my tally, getting us to the tie that we currently have. If I had rigged the election, why would I not just stop adding votes when I was ahead? And why would I not have added votes for myself a long time ago? If adding votes is as easy as the Trillion Man March is making out to be, I would have won in a landslide. Basically, the theory that I rigged this election is far fetched and just doesn’t add up. However, the circumstances surrounding the election made for solid motive for another culprit to step in. This was not an election that was to be taken casually, like maybe US presidential elections, as Kyle and I were both on pins and needles to see who would have bragging rights forever. This was serious stuff with serious implications. In other words, it was a perfect opportunity for The Villain to make his move. Obviously The Villain is trying to get the Trillion Man March to turn on me and eventually bring down my blog as a result. Maybe it was the pranks I pulled over the years or maybe it was because I left him off the ballot, but for whatever reason The Villain decided that this election served as a perfect time to get his revenge. I’m a little upset that he has retaliated to my harmless pranks by taking it to the next level. Nonetheless, the fact that he is the declared nemesis of Club Trillion proves that he definitely had motive. “But,” you are saying, “if you were at practice and couldn’t rig the election, how in the world could Evan rig it then? Wasn’t he at practice with you?” Solid question and I’m glad you asked it. Of course Evan was at practice with me. It was all a part of his alibi. He is claiming to be occupied during the scandal and also claims that he doesn’t know my password and have access to the blog settings and therefore couldn’t change stuff around even if he wanted to. Basically, he had a well thought out plan to cover his tracks, only he forgot to account for the fact that standardized tests and everyday encounters with mutual friends have shown that I would destroy him in a spelling bee (or any other scholastic contest) with my hands tied behind my back. Translation: My brain capacity dwharfs his, making it impossible for him to outsmart me. It’s pretty obvious how The Villain pulled this off, but in case you can’t figure it out, I’ll help. Blogger, the service I use to bring you this irrelevance on a bi-weekly basis, is owned by a little company called Google, which was co-founded by one Larry Page. Page was born and raised in East Lansing, Michigan, home of the Michigan State Spartans and, more importantly, The Verve Pipe. Page spent a lot of time on the MSU campus because his parents were professors at the school. While Page was growing up, a certain basketball player named Scott Skiles was getting busted with drugs at Michigan State. Skiles needed guidance after his drug charges and turned to Page’s parents, both of which he had as professors in different classes. So Skiles becomes friends with the Page family before going on to an NBA playing career and eventually landing a job as the Chicago Bulls’ head coach. While Skiles was a coach with the Bulls, a highly touted basketball prospect was gaining attention at St. Joseph’s High School in Chicago. I’m talking, of course, about Demitri McCamey, the current star guard for Illinois. McCamey undoubtedly spent his summers working on his game by playing against some of the Bulls players and eventually talked with Skiles about the prospects of playing for his hometown team. Oh yeah, I feel like I should mention that one of McCamey’s teammates at St. Joe’s was a guy by the name of Evan “The Villain” Turner. If you still haven’t put the pieces together, here’s how it all went down. Evan learned about the whitest on the team election and knew it would be a perfect time to get me back for all the pranks I’ve pulled on him. He casually discussed how he would love to do something to me while talking to McCamey and McCamey realized that he might have a way to pull it off. McCamey called Skiles because he knew about Skiles’ relationship with the Page family, Skiles relayed the message to Larry Page, and Page (who complied because he went to undergrad at Michigan) used his supernatural intellect to hack into my blog and screw with the poll so it would come out as a tie. The Villain planned on causing mass chaos with the voting results and hoped that that would eventually lead to the Trillion Man March turning their backs on me, destroying the foundation of the blog in the process. Case closed. Despite The Villain’s best efforts, I figured him out and have now exposed his admittedly solid plan. Still, that doesn’t change the fact that he did succeed in ruining the poll. To make matters worse, I currently have no ideas as to how we can break this tie and figure out who exactly is the whitest guy on the team. The notion that I should re-open the poll is completely absurd, considering the fact that 99% of you would vote for Kyle because you think I pulled the biggest betrayal of trust since the Montreal Screwjob. I thought about a Paper-Scissors-Rock contest, but that’s no way of determining something as important as this. If you think you have a solid idea on how to resolve this, leave it as a comment on this entry. And for the record, dragging my carcass on a chain through the streets of Columbus because I’m a sore loser who rigged the election is simply out of the question. I’m pretty sure it violates a city code or something. After writing my last entry about Streak for The Cash (which didn’t get anywhere close to the attention it deserved because of the election), I was e-mailed by Robert M., who suggested that Club Trillion create our own Streak group. I had no idea that groups existed, mostly because my Streak experiences always consist of opening ESPN.com, seeing my streak at 0, and quickly closing the page so I don’t have to stare at the constant reminder that I know pretty much nothing about sports. Anyway, I ended up making a group for the Trillion Man March to go up against Keller and myself. Because someone already stole the name of “Club Trillion” for a group, I named our group “The Trillion Man March” and it can be found by clicking here. Join our group and if you have the longest streak going when I publish each one of my posts, I’ll give you a shout-out on the respective post. Good luck and happy streaking. Your awesome YouTube features the greatest NBA Jam player of all-time, Clyde “The Glide” Drexler and was sent in to me by Jorge G. There's your shout-out, Jorge. And here's your video. Keller and I were talking the other night and after doing our usual rounds of “Would you rather”, I challenged him to come up with something more addicting than Chipotle. Turns out that it wasn’t much of a challenge, because it took him no time at all to respond with “Streak for the Cash, duh.” I’m not sure if I totally agree that it’s more addicting than Heaven in a tortilla, but I understood exactly where he was coming from. Streak for the Cash is a game ran by ESPN.com that features conflicting scenarios for all different types of sporting events. Participants must choose a sporting event and then choose which of the two scenarios they believe will occur for the respective event. The goal is to consecutively pick as many scenarios as possible, hence the concept of the streak. 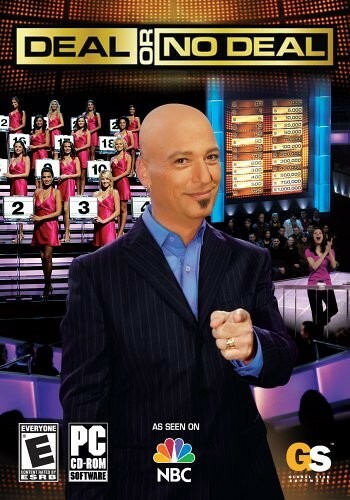 All it takes is picking 27 in a row correctly to win a million dollars. On the surface it seems like the game is easier than getting a show picked up by ABC. However, it very well may be the most agonizing thing I’ve ever done, other than trying to figure out if the chick in this video is attractive or not. I currently have a losing streak of two going, with my all-time best win streak of four. My overall record is 31-37-2 for a .456 winning percentage. Simply put, I hate this game. What makes it even more frustrating is that when I inevitably catch fire and end up getting 27 in a row, I won’t be able to collect the million dollars because the NCAA is NCAA. Nonetheless, I keep coming back for more. It’s easy to see why I’m a Cubs fan. The reason I’m bringing up my rocky relationship with Streak for the Cash is because the guy who comes up with all the scenarios, otherwise known as the “Streakmaster”, is a fan of the blog. After recently Googling my name for the first time in over two days, I came across a live chat the Streakmaster did a few weeks back. Basically he claimed that he would have one of the games on Streak feature Northwestern and us if I mentioned him on the blog. I was unaware of the proposition and thus failed to give the Streakmaster his shout-out. But even though I dropped the ball with our first game against Northwestern (not literally—I didn’t even get in), we play them again this coming Sunday, which is why I’m stepping to the plate right now. This is serving as the official shout-out to the Streakmaster. It’s also serving as a warning to him, though. I’m on to you. You can try to fool America all you want, but I’m not buying it one bit. It’s fairly obvious to me that you are the inspiration for the show Early Edition. How else can you explain your ability to tell the future? Case in point: I was riding my career high win streak of four into the Oklahoma-Texas basketball game in February. The scenario called for me to pick the winner and I went with Oklahoma, seeing as how they were something like 389-1 at the time. I spent the better part of that day laughing at you for foolishly having that game be an option and anxiously awaited the game so I could set a new career high streak of five wins. Then Blake Griffin got a concussion, sat out most of the game, and Oklahoma ended up losing. It may be out of line to claim that the Sooners would automatically win if Griffin played the whole game, but then again when a career long win streak comes crumbling down any argument is a rational one. After unforeseen circumstances such as this, is it really unfair to suggest that you have a cat deliver the next day’s paper to you every morning and you use this information to frustrate the hell out of people? I think not. It’s baffling to me why you decide to set trap games with your knowledge of the future instead of trying to help people out. If nothing else, use the information to pick the right lottery numbers for yourself. That way you don’t have to ruin my day when I pick no-brainers like the Cavs over the Rockets, only for LeBron and company to decide that losing takes a whole lot less effort than winning and their bodies could use the rest. That’s why I’m suggesting my own Streak for the Cash scenarios for our game on Sunday that you will hopefully use instead of that futuristic Early Edition crap you’ve been pulling for far too long. Feel free to use any or all of the scenarios and help me get back on the winning track. It’s really the least you could do considering you’ve tormented me for the past year or so. The following are “what will happen more” scenarios for every player who will dress for us on Sunday. Choose wisely, America. It’s no secret that there’s a little animosity between The Villain and myself. I have always assumed it to be playfully harmless. Yet, there are times when he happens to somehow be oblivious to the fact that I’ve got my hand in his direction and am looking for some face time on TV. I can’t say for sure if he sees me or not, but I can say for sure that I cry a single tear every time the negligence happens. Danny is the second leading board-slapper on the team, so it can be assumed that he’s going to put up his fair share during warm-ups. And while he doesn’t like country music all that much, there are some songs that he just can’t get enough of. Trust me. Depending on who you talk to, P.J. has either the coolest or worst hair on the team. Technically, I guess he could have both, but the point is the man treats his hair like it’s his firstborn. I’m pretty sure he is in a group with my grandmother and Bernice, the lady at the front desk from the hotel in Minnesota, as the only three people I’ve ever met before who routinely use a shower cap in the shower (and no, I haven’t seen my grandmother or Bernice in the shower, but good try). His hair is so popular amongst the fans that one fan actually wrote me an e-mail asking whether or not P.J. kisses his lucky egg before each run on the bobsled. Jon prides himself on being a better shooter than me, something that I let him believe because I’m a nice guy. However, after going along with his whole “My J is wetter” routine, I kindly remind Jon that I could make him bleed from his ears without even breaking a sweat. Your wet jump shot can’t do anything for you, should I choose to unleash my fury, Jon. The last time we played Northwestern, Kyle set a screen on a Northwestern player so hard that the guy no longer knew how to use the Euler Method to approximate curvatures in a line segment when he got back up. Before he got on the court to set the screens, though, Kyle literally wiped his hands every twenty seconds and spit into a cup almost as often. I’m not sure if it’s a nervous habit or what, but the dude always prepares himself by hocking up loogies and wiping his palms. Whatever it takes, I guess. I love the “I’m on A Boat” video just as much as the next guy, provided the next guy isn’t B.J. Mullens. He watches the thing seemingly on loop, no matter the circumstances. He also is the king of the left-handed windmill during warm-ups, something that apparently gets him zero points in the actual game. Jeremie’s locker is right next to mine, which apparently gives him the freedom to trash my space. On a daily basis, I walk into the locker room and see a pile of papers in my locker and get mildly excited at the thought of the Trillion Man March sending autograph requests to the gym for me. My excitement quickly turns to disdain as I realize that the papers are nothing more than lyrics to some rap song or phone numbers of the girls who just didn’t make the cut. I constantly make fun of Will for having a weaker goatee than what I had in sixth grade. I’m convinced he honestly super glued some hairs from his head to his chin and went on his way. My man is desperate to have the facial hair prowess of a seasoned veteran such as myself, so much so that he doesn’t care that it looks like he’s got a handful of strings hanging from his chin. Dallas is the king of what my teammates like to call “co-signing”, which surprisingly enough has nothing to do with anybody’s credit history. Every time I challenge The Villain to a battle rap, Dallas chimes in with his analysis of the situation and eggs The Villain on. The Villain never complies, presumably because of Dallas. In case you don’t notice, I almost always have a towel around my neck during the games, which is strange because in the banner at the top of the blog I don’t. Nonetheless, I wear the towel for the sole purpose of being easier to spot on TV and honestly take it off maybe once or twice after the game starts. This gives me a solid idea. I will promise a shout-out to anybody who goes to the game on Sunday and counts how many times I take the towel off of my neck. I’ll be counting too, so don’t just make something up out of desperation. And for the record, when I take the towel off at halftime to run into the locker room, that doesn’t count. Good luck with the counting. I’m sure you are wondering if I’m going to address the ongoing election for whitest guy on the team. Because I want it to be fair and because Kyle doesn’t have access to write on here like I do, I will hold back on my commentary. I will, however, say that this election is becoming a very big deal between the two of us and I encourage you to keep voting. Also, I want to thank the Trillion Man March for informing me that playing/constructing with K’NEX is about as un-white of a thing as anybody could ever do. Who would have ever guessed that? Iowa wasn’t too thrilled that their game winning shot was halfway down before it eventually rimmed out, justifying the fact that they didn’t return any of my one armed embrace requests. Also, I would be remiss if I didn’t mention that Walter Offutt had an 11 trillion going before he selfishly got an assist and made a layup. As long as he can live with himself, I’m fine with it. Your awesome YouTube was sent in to me by Doug W. There's your shout-out, Doug. And here's your video. Over the course of the next week, I am calling on the Trillion Man March to vote on the side of the blog for the whitest guy on the team. In case you missed the posts Kyle Madsen and I wrote for our respective campaigns, I have laid out a quick biography of both of us. Even if you did read the campaign posts, take a quick look at these lists and make sure you still think your favorite candidate is the right fit. Hopefully you have now solidified your choice for whitest guy on the team. If you still are unsure, I suggest going through this chart and figuring out which candidate has the most in common with you and vote for him. Also, feel free to vote as many times as you think is necessary. After you vote, I encourage you to set your Facebook, Myspace, etc. profile pictures as either the "I VOTED TITUS" or "I VOTED MADSEN" images that are pictured below. Let America know where your loyalties lie. I want to sincerely thank you for your participation in the most important election in quite some time. God bless Club Trillion and God bless America. UPDATE: Because this election is hinting at being bigger than I ever could have imagined it to be, I am extending the polling hours until 5:00 p.m. EST on Friday, March 6th. This extends the election by about five more days, which gives everyone a chance to vote multiple times. It also gives you the chance to spread the word about the election and make sure all your friends cast their votes as well. Make it happen. Bobby Riddell of Purdue became the first ever two-time one arm embracer in Club Trillion history. He also nearly scored a five trillion on Saturday, but was unfortunately called for a foul in the early going. Chalk up another bad call for the Big Ten refs. Nonetheless, AMPAP to Bobby for being the one-arm embracer MVP. Your awesome YouTube was sent in to me by Danny P. There's your shout-out, Danny. And here's your video.